Thanks to modern technology, lasers can be used to refine the appearance of the skin with minimal downtime. This treatment involves using a special hand piece that emits laser beams that help erase skin irregularities. It can be used to treat the entire face or only certain areas, with each session lasting anywhere from 20 to 40 minutes. After a treatment, patients are allowed to return home and engage in normal activities. How does laser photorejuvenation work? When this laser device is run over the surface of the skin, light is absorbed by the body. This helps to eliminate unwanted lesions or fade scars and other imperfections. How should a patient prepare for treatment? Tanning should be avoided for a period of time before treatment, as tan skin may streak after a procedure. Patients should also avoid skincare products that contain glycolic acid and Retin-A. In some instances, a physician may recommend a chemical peel shortly before laser photorejuvenation. This should not be performed at home, but instead, should be given under the expert guidance of a board-certified dermatologist such as Dr. Tomar. What can laser rejuvenation treat? Most patients report only minimal discomfort while undergoing treatment. As a result, anesthesia is generally not needed. That depends on the severity of the condition. Many patients notice improvement after only one treatment, while others will require multiple treatments. Between one and five sessions could be needed depending on the types of imperfections being removed. These are normally scheduled at about four-week intervals. What can be expected after a treatment? Many patients are surprised to see that broken capillaries and age spots are actually more visible right after laser photorejuvenation. This is normal and usually subsides within a few days. The skin may also be tender or lightly bruised after a treatment session. Who should not undergo laser photorejuvenation? Many people enjoy the benefits of this procedure for several years, and some report that their particular concern never returns at all. Those who need to correct skin problems but are not necessarily concerned with the effects of aging can be good candidates for laser photorejuvenation. This procedure can be effectively performed at Supriya Aesthetic Dermatology. How Much Does laser photorejuvenation Cost? Skin rejuvenation treatments are considered to be elective, so most insurance providers won’t cover the costs. To help make laser photorejuvenation affordable and accessible for everyone, Supriya Aesthetic Dermatology offers financing options via CareCredit®. We also accept cash, personal checks, and major credit cards. Contact us today if you have any questions about the cost of laser photorejuvenation. 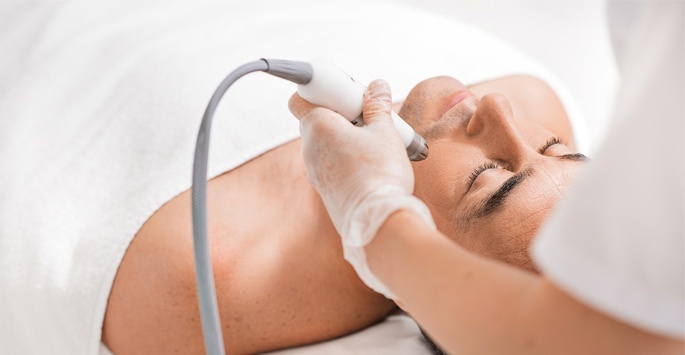 Patients who are looking for an effective, safe, and long-term solution to a variety of skin disorders may want to consider laser photorejuvenation. To find out more, those in Jupiter, West Palm Beach, and Palm Beach County can contact the office at 561-805-9399.